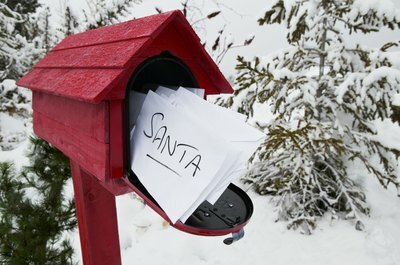 Children can mail a letter or their wish list to the North Pole and receive a personalized letter from Santa delivered right to their mailbox. Receiving letters from Santa is free except for postage. There are two ways to receive a free letter from Santa through the U.S. Postal Service. The first method is less controlled, where you mail the letter and a volunteer writes a letter back. The second method is a letter written by a parent or guardian and mailed back to you with a North Pole stamp cancellation. Have your child write their letter or wish list to Santa. Mail the letter by Dec. 21. 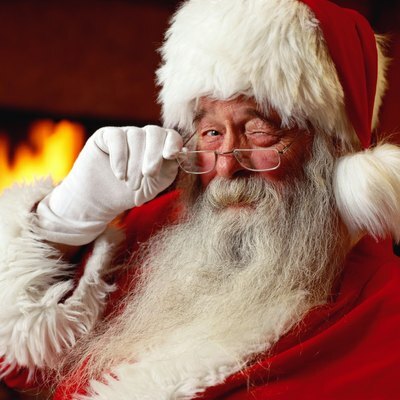 All letters received by the Santa Claus, Ind., Post Office by Dec. 21 will be answered by Santa. The postmark on this letter will be from Santa Claus, Ind. Write a personalized letter for your child that is "from Santa." Hand-write your letter, but take your time. 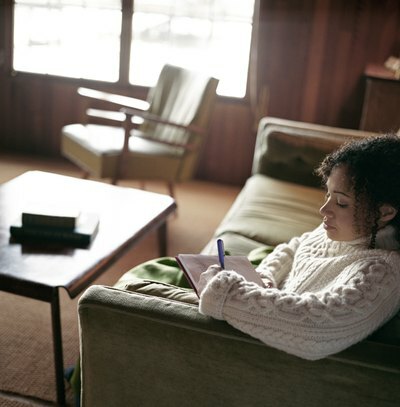 The older your children are, the more likely they will recognize your handwriting. 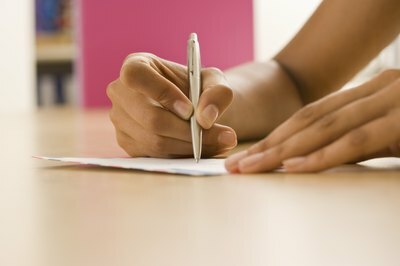 Use your nondominant hand to change your handwriting, or have another relative or friend write the letter. Place the letter in a self-addressed stamped envelope. Use "Santa, North Pole, Alaska," for the return address. Mail the letter to Fairbanks, Alaska, before Dec. 15. The letter will be opened by workers in the Fairbanks Post Office, stamped and mailed back to the address on the envelope. 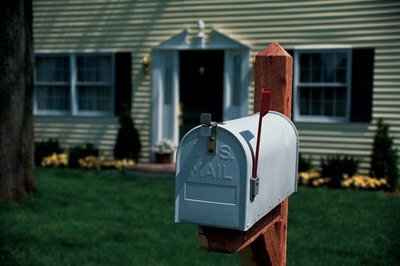 Supervise your children when they are addressing or applying postage to letters. Misspellings and improper postage can slow down the mailing process. Do not send empty stamped envelopes to be postmarked. 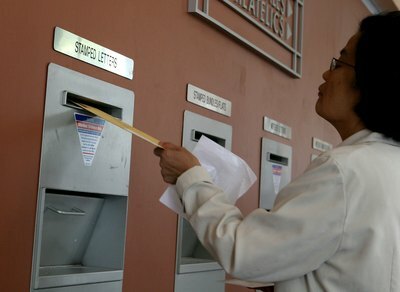 Place a card inside the envelope to prevent the high-speed sorting equipment from destroying it.